Have a laundry facility on-site? Life safety should apply throughout your entire property, but there are certain areas, like the laundry facility, that present unique risks and require extra care. Take these steps to ensure things run safely and smoothly. Often, it’s easy for property managers to think of the laundry room as a lower priority in the big and busy scheme of keeping a watchful eye on property. However, these facilities can be riddled with hidden hazards and require regular, careful attention and routine checkups. An improperly performing or tampered with laundry room can cause a number of additional and often unexpected problems for management and tenants alike. Dangers associated with laundry rooms can range from potential criminal activity and vandalism to technical risks such as mechanical malfunctions and fire hazards. 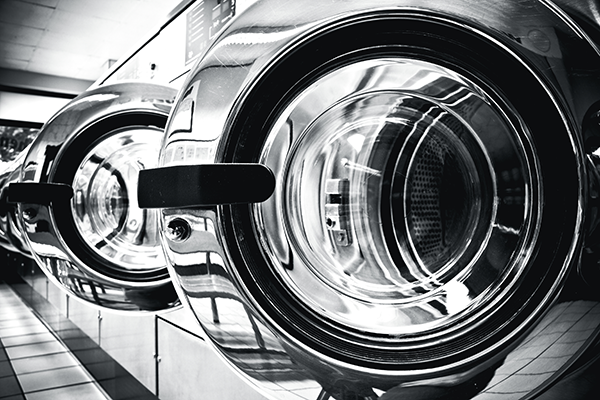 A safety and security plan for your laundry facility can help deter, reduce or prevent the threats that can often be associated with an ignored public laundry area. As convenient as a 24-hour laundry facility could be for tenants, it may be safer to keep the room locked and inaccessible late at night. This can help prevent accidents and crime when your staff is not on duty. Keep the facility clean and orderly at all times. The appearance of a clean, organized laundry facility can help deter crime, as potential criminals can see that the space is highly attended to and cared for. Routine checks and evaluations can help prevent accidents and may inspire upgrades and improvements. Keep careful records of all inspections and repairs, as well as problems (for example, soapy clothing after the wash cycle completes is a sign that something is wrong with the machine). Find out more about regular property inspections for individual units here. Simply having a visible security camera can deter crime, as a watchful eye can discourage bad behavior. However, security cameras have vulnerabilities such as blind spots and are subject to human error. Be sure that this is not the only security measure that you rely on. In fact, use smart lighting that helps you save energy. The lights come on when a tenant enters the facility and turn off when they leave. Prevent your facility from becoming a play area for children. Kids are attracted to the “fun potential” of washers and dryers. They can climb into the machines, causing a life-threatening hazard and trap. Post signs that remind tenants not to leave children unattended; include this restriction in the lease. Consider self-locking doors on both washers and dryers for when the machines are not in use. Emphasize the “no pets allowed” rule. While some of your tenants may be animal-oriented, others may not be. They should not have to interact with over-friendly or aggressive pets while doing laundry. Ultimately, pets in the laundry room are not sanitary. Post signs that remind tenants not to bring their pets with them; include this restriction in the lease. Keep lint traps clean and empty. Check them on a daily or even an hourly basis. Lint can block air flow in the lint filter, dryer vent or exhaust duct. This causes heat to build up, which can lead to fires. Keep dryer areas free and clear. Flammable materials -- such as paint, cleansers, and solvents -- can emit vapors that can lead to fire if stored near a hot dryer. Prevent situations that can cause trips, slips and falls. These include wet floors, exposed wires/cables and overall poor housekeeping. Learn more about safety amenities that can attract families and singles here. Cracked or frayed rubber hoses are a frequent cause of flooding within laundry vicinities. Often these breaks are so small that they can go without notice until it’s too late. Be sure to take a closer look at these areas when inspecting your laundry facility. Install an outlet with a ground fault circuit interrupter (GFCI). This is designed to shut off the electric power when there is an imbalance between the incoming and outgoing current and can prevent electrocution. Encourage the use of earth-friendly cleaners. Biological or chemical agents used in cleaners can cause illness. Many detergents and dryer sheets contain harsh chemicals that can irritate eyes and skin, or even aggravate allergies. Establish a first-come, first-serve policy. As silly as it sounds, in severe cases tenant fights over machines can lead to physical violence or damage to the facility. Post signs and utilize security cameras to enforce your first-come, first-serve policy. Establish a protocol; encourage timely use of the machines and courtesy toward those waiting to use them. Install a two-way emergency communication system within the laundry area. These devices -- prominently displayed with easy access -- can serve as a means to help or even act as a lifesaver in the event of a laundry facility emergency. See an example of such an instance in this video, featuring actual calls handled by Kings III. They also give tenants peace of mind, knowing that emergency phones are there if and when they are needed. Learn all the benefits of using an emergency telephone here. A light indicating that emergency communication staff knows about the emergency and is on the case. Worried about the cost? Did you know your two-way communication system does not necessarily require a dedicated phone line for each phone? For instance, Kings III’s smart line seizure technology allows phones to seize an existing phone line rather than requiring a dedicated line, making these life safety devices cost effective. Call boxes are required by law in many states (check your local laws). Kings III's all-inclusive service provides you with the option of a complete package of code compliant emergency telephone equipment, installation and maintenance, plus 24-hour state-of-the-art monitoring and dispatch services. At Kings III Emergency Communications, we understand that providing a trustworthy, reliable emergency response solution is the key to minimizing risk and liability. 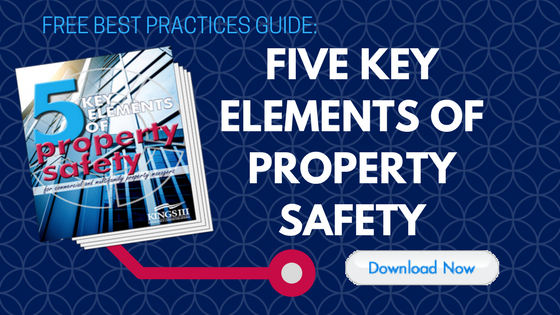 More importantly, it can help to prevent tenant injury and save lives.